Too many local SEOs and their clients take an all-or-nothing approach to link-earning, and that’s a shame. Most SEOs casually take the “nothing” approach and don’t help their clients with links at all, and wonder why their clients’ visibility doesn’t improve. Most of the others – the SEOs who know how much good and relevant links matter – assume the only way they can help is with a swashbuckling approach that involves hundreds of outreach emails and thousands of dollars spent on “content” that people may or may not even glance at. Business owners often fall into those traps, too. Even if they know they need to rustle up links, they assume a third party can or should handle all of it. It usually takes at least a little teamwork to earn the kinds of links that can help your local rankings and overall visibility. If you’ve hired a local SEO person or company to help, it’s reasonable to expect help on links other than on an all-or-nothing basis. 1. Research specific link opportunities. (As opposed to “just write great content.” Not real helpful.) 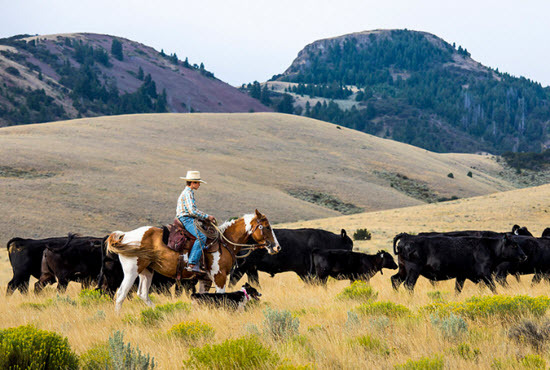 This questionnaire can help you determine what’s practical. Beyond that, where you do look? Some practical ideas here, here, and here. Work together on as many of the link opps as you can. Once you’ve exhausted those, research more. Repeat every few months for as long as you work together. 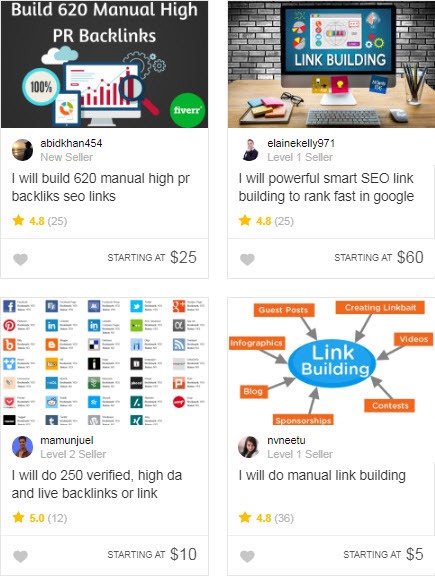 Even if you do nothing else, at least dig for doable link opps for your client. 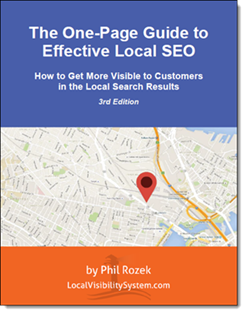 Whether all your other local SEO work actually pays off may depend on it. 2. Keep an eye out continually for PR opportunities, and pass them along. If you’re not sure how, start by monitoring the Google News feed and HARO. In general, keep your ear to the ground, pass along anything you see, and do what you can to help your client chase down any opportunities. 3. Look at the business’s current publicity efforts/stunts and offer suggestions on how you might get links out of the deal. Most businesses don’t do much to get publicity, but the ones who do are already doing the hard part. If you simply know what’s going on, you’ll probably see a way to finagle a relevant link or two. 4. Create a Google Drive or similar collaborative spreadsheet to keep track of the link opps you’ve dug up and might be working on. Each tab can be just a big ugly list of URLs, maybe with a column for “next step” and another column for “who’s working on it?” Then you might categorize the link opps by creating a few tabs, like “ideas to discuss,” “working on,” “dead ends/not interested,” and “got.” That’s just an example. You should use whatever works for you. Even if you don’t use it much personally, it may help your client (if your client is the hands-on type). 5. Look for unlinked profiles, lapsed memberships, and broken inbound links. Does the Chamber of Commerce “member” page not include a link to the site? Did your client forget to re-up this year? Did you find a great link with a typo in the URL? A link saved is a link earned. 7. Pull Ahrefs or Majestic reports on the business’s link profile and on competitors’ link profiles. Probably a no-brainer if you help people with SEO for a living. What may be less obvious is that you should not go after any and all of the crappy links your competitors have. Just because they have a certain link doesn’t mean it’s helping them, or won’t hurt you. Anyway, pass along to your client whatever you find, if your client is interested in that sort of thing. 8. Track the business’s and competitors’ links in Ahrefs or Majestic. Just to keep tabs on new links and lost links. It’s a good way not to forget about links, and to keep your antennae out. 9. Consolidate sites and pages that don’t do well, but that may have a few decent links. If you conclude you’re spreading your content and efforts thin, you might want to claw back those links by pointing them to whichever site or page you want to keep and focus on. 301-redirects may come in handy here. 11. Twist your client’s arm to get him or her motivated and maybe more involved. Much easier said than done, of course. How you should go about it depends on whom you’re working with, and I don’t know that person. 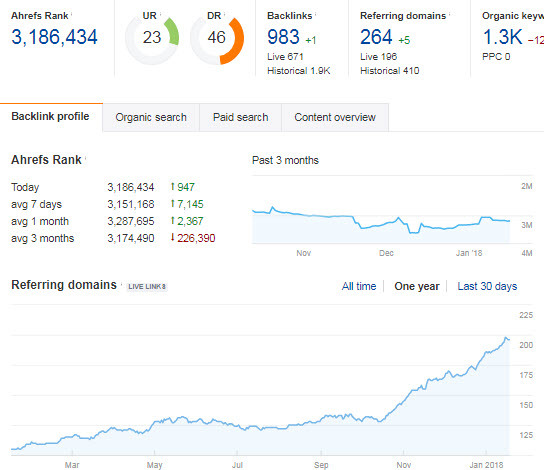 All I can say is you should try to impart that without good links good rankings tend to be one Google update, Google test, or one tough competitor away from disappearing. Easy come, easy go. Also, try to set the bar low at first, so that initially the goal is just to get a few links that are relevant to your client’s industry or area (or both). More likely than not, those’ll help the rankings/visibility just enough that your client gets motivated and starts gunning down link opps right next to you. What are some other ways a local SEO can/should help with links? Any success (or failure) stories you’d like to describe?